Overall, I’m not a huge Shakespeare fan. It’s always been difficult for me to read iambic pentameter so I’ve avoided it at all costs. 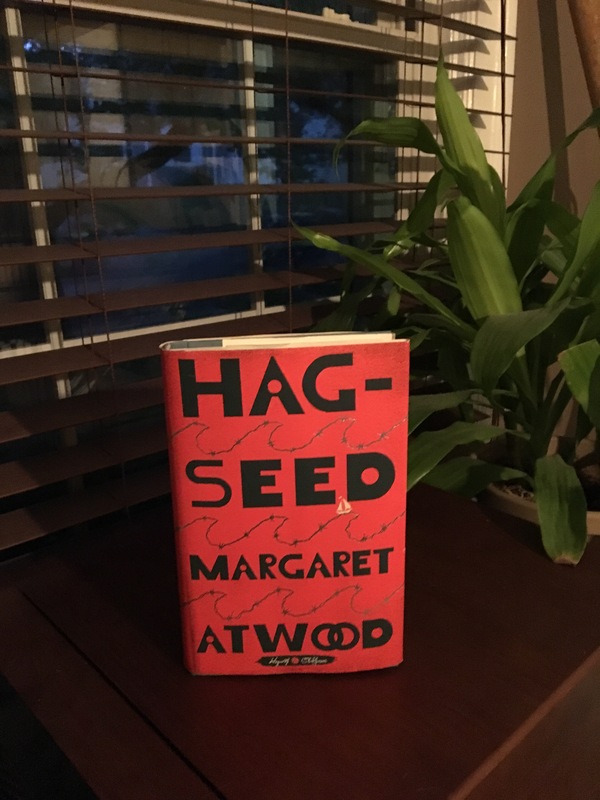 But I saw Hag-Seed by Margaret Atwood on Blogging for Books and thought I had better give it a shot since its a modern retelling of a classic. The definition of Hag-Seed is the offspring of a witch. While reading this book (after looking up the definition of Hag-Seed), I think I began to understand why the Tempest was such a good fit for this modern version. It follows Felix, a former artistic director of a theater, into his downfall and rise after losing his daughter and cherished job. While the story is based out of revenge, I feel a little more whole after having read this story. Hag-Seed is 297 pages long and took me 3 days to read. I really enjoyed this break from my normal murdery favorites. I give this book a 3.5 because it really brought something into my life that I can’t quite put my finger on but I really enjoyed.